this is an absolutely amazing book. Having spent several years in force Recon myself, I know enough to say that this book Rings true. The language is perfect, and the narrator captures the feel of that life flawlessly. 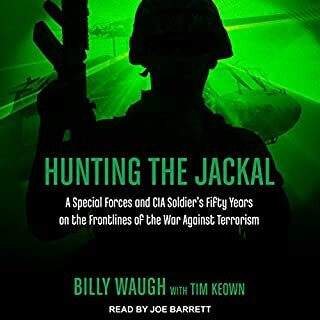 Billy Waugh and his fellow SOG operators conducted exploits that Boggle my mind. these guys were Fearless, and absolutely heroic, although they would never admit it. they conducted cross-border operations into Cambodia alone and unafraid. they were also by today's standards unequipped. those were the days before smart bombs, GPS, and Advanced Communications. these guys survived literally by their wits, guts and determination - combined with physical stamina and willingness to endure deprivation. 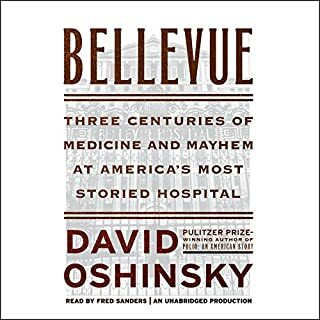 this outstanding book is much more than a history of Bellevue Hospital. It is a history of Medicine in the United States itself from the 1700s to the present. the book is interesting informative captivating and well written. as a former health and hospitals Corporation employee myself with 13 years as a New York City and FDNY paramedic, I found the stories absolutely intriguing and believable. The story is of Medicine ,andof New York City. A story of people, pain and pathos; of lives saved and lost; of unbelievable ignorance and incredible ingenuity leading to new discoveries and New Hope. 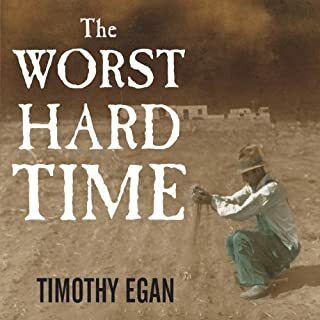 a story of human life, uncovered and exposed in all its glory and ugliness, set in historical context but without apology. And a story of death, from a variety of interesting and sometimes gruesome causes. it was a great book. I'm sorry to have reached the end. 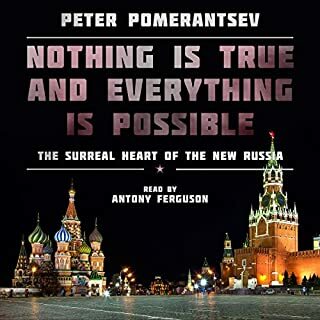 Professional killers with the souls of artists, would-be theater directors turned Kremlin puppet-masters, suicidal supermodels, Hell's Angels who hallucinate themselves as holy warriors, and oligarch revolutionaries: welcome to the glittering, surreal heart of 21st-century Russia. It is a world erupting with new money and new power, changing so fast it breaks all sense of reality, home to a form of dictatorship far subtler than 20th century strains, that is rapidly rising to challenge the West. An eloquent, incredible and riveting romp through a world of ever-changing mirrors that is present-day Russia. a people in search of themselves. outstanding read. Julius Caesar triumphantly returns to Rome, where he is met by betrayal, conspiracy, and, ultimately, assassination, followed by Mark Antony's revenge on the plotters. The drama is also the story of Marcus Brutus and his struggle between the conflicting demands of his friendship with Caesar and his loyalty to Roman ideals. 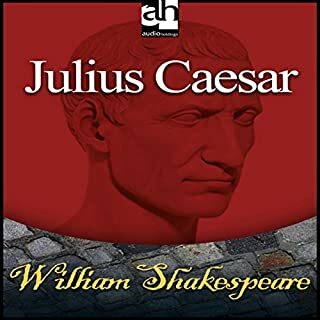 Shakespeare's Julius Caesar is well - adapted in this audio drama. Though the sound quality is sometimes lacking, the performances are well - done. outstanding book. I've read many on the subject. 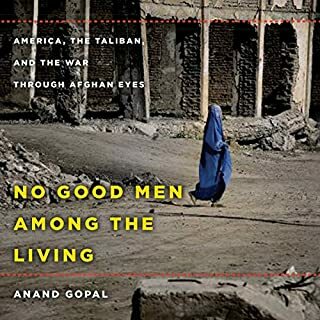 the author gives a well-researched, nuanced and largely accurate story of the counterinsurgency fight in southern Afghanistan from 2009 to 2011. his book stands subject matter from the Tactical level to the Strategic, and once again highlights the vast Chasm between those who plan the war at a political or strategic level - and those who fight at the Tactical. the latter, the boots on the ground grunts who do the fighting, risk all for the sake of Honor and accomplishment of the mission. in far too many cases that risk is realized in lost limbs and lives. 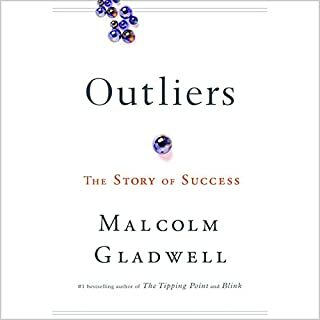 in stark contrast, the author details failure at the political and strategic levels where the mission is too often sidelined or sacrificed to pet projects , pet peeves, preconceptions, hubris and outright laziness. 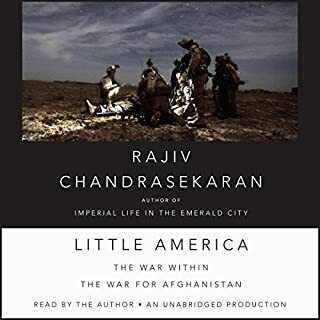 41 with experience in Afghanistan, this read was both enlightening and maddening. unfortunately, it does ring true. 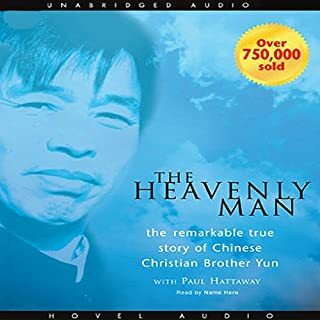 a deeply personal deeply spiritual true story of gods amazing work for the life of one man fully dedicated to him. this book is singularly impressive, and has absolutely challenged me as a Christian believer. 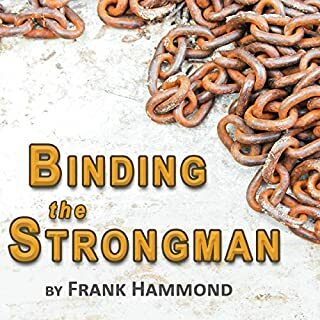 I can hardly recommend it enough.... in it you will see the height of man's cruelty and wickedness juxtaposed against God's amazing power and mercy.